The latest USDA Cattle on Feed report was released Friday afternoon showing the on feed number at 99 percent of year ago levels. This is the first time the on feed number has been lower than year ago levels in 23 straight reports. The placement number came in at 85 percent o year ago levels, the smallest placement since June of 2009 and the third smallest April placement in the last 17 years. For the Monday morning Cattle Futures trade at the CME, the report is being called friendly to bullish. Cattle and calves on feed for slaughter market in the United States for feedlots with capacity of 1,000 or more head totaled 11.1 million head on May 1, 2012. The inventory was 1 percent below May 1, 2011. Placements in feedlots during April totaled 1.52 million, 15 percent below 2011. Net placements were 1.44 million head. 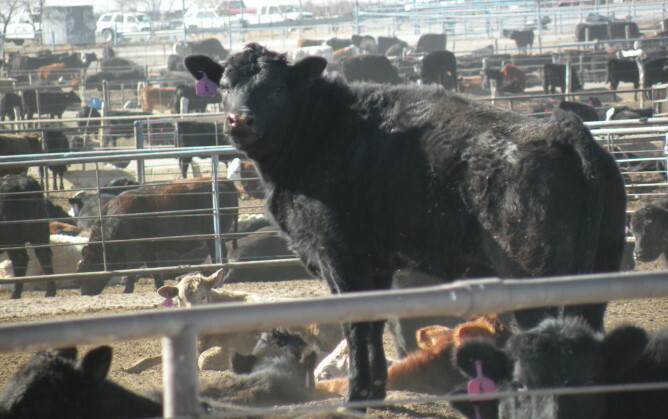 During April, placements of cattle and calves weighing less than 600 pounds were 355,000, 600-699 pounds were 250,000, 700-799 pounds were 380,000, and 800 pounds and greater were 536,000. On today's Beef Buzz, we hear comments from an interview that our own Ed Richards did with Tom Leffler of Leffler Commodities. Take a few moments and listen to Tom Leffler's comments in this Beef Buzz linked below- he believes that this report is just the latest indicator that as the supply of cattle available for our feedlots tighten- wholesale beef and cattle prices are responding. Evidence of that is in rising wholesale beef prices in recent sessions- and higher cash cattle prices this week- the report from the Texas Cattle Feeders Association on Friday afternoon showed that feedlots got higher prices this week- up $3 ro $3.50 per hundredweight compared to recent weeks- cash cattle prices standing at $123.00 to $123.50 in Texas, Oklahoma and New Mexico feedyards. To hear the full interview- click here.